Invader Zim finds himself at the mercy of Virooz, a deranged fan of his work who wants Zim to return to his glory at any cost. Virooz has a simple plan for this: he is going to use an Irken Pak to replace Zim’s mind with his own. All the while, we get to see one of Zim’s first missions as an Irken Invader. Full disclosure: I adored Invader Zim as a kid. As I grew up, I got more of the subtext and messages of this beautifully dark cartoon. It’s one of those things I loved as a kid that only got better as an adult (the exact inverse of the Star Wars prequels). I’ve had some limited experience with this comic book series, but I’ve liked what I read. Thankfully, this issue is no different. This comic is as every bit as funny and subversive as the cartoon while keeping the great subtleties of the animation that gave the show so much personality. The dialogue between Virooz and Zim is funny and a good skewering of how intense fandom culture can become. The flashback to Zim’s first mission shows him to be the earnest yet idiotic villain that he has always been. Also, the planet in the flashback is called Dooq and has naturally occurring couches. Eric Trueheart clearly understands Jhonen Vasquez’s glorious creation in Invader Zim, and he continues the story with skill and wit. Warren Wucinich captures the visual styling of the cartoon, and it maintains the lively and unnerving expressiveness of the show nigh-perfectly. 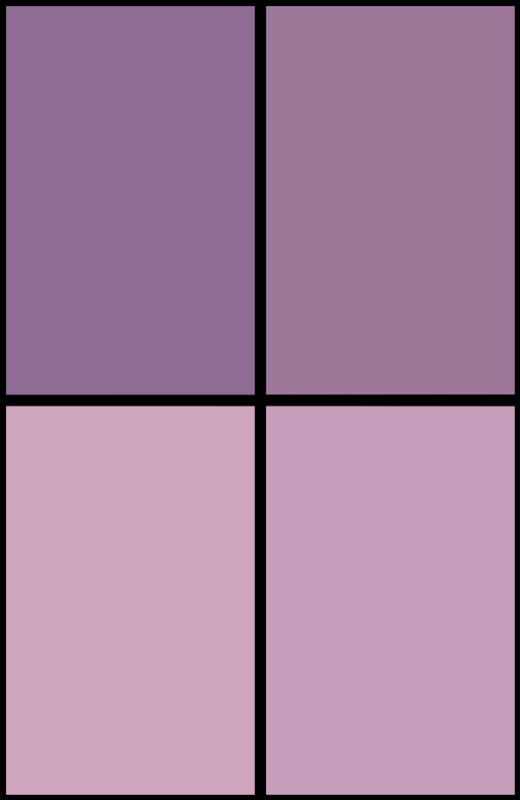 Fred C. Stresing’s colorwork keeps the palette of the old show, mostly focusing on purples, grays, and the occasional neon highlighting. It looks awesome, too. 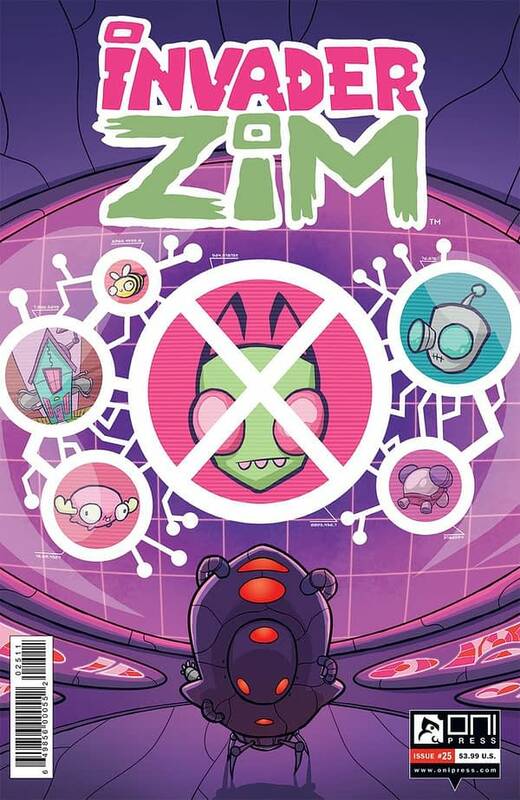 The Invader Zim comic series has shown how to get a comic adaptation right, though there are actually numerous talented creators doing that same thing alongside this series. In any case, #25 is a funny and engaging read of pure doom. I recommend it strongly, and you should definitely read it.